Wow! Only 3 weeks left to post! 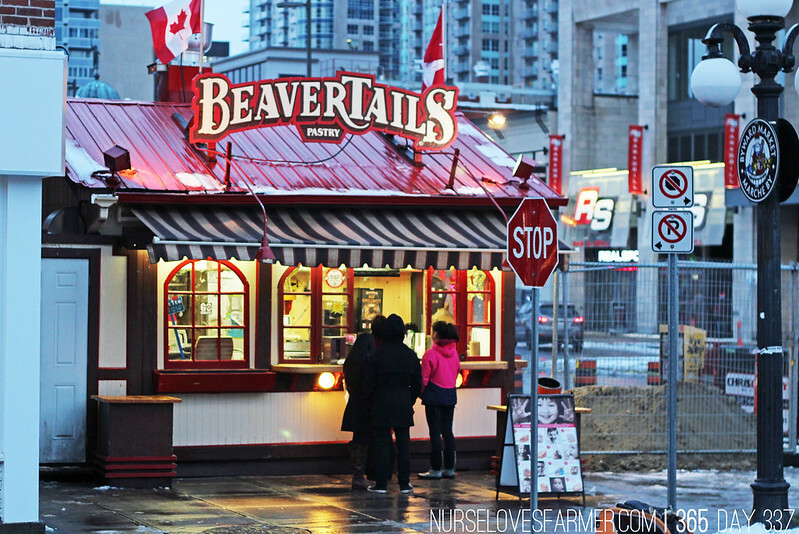 Continuing on from last week in Ottawa, even though I’d never been I KNEW I had to have a BeaverTail! Fried dough with a variety of toppings. I chose maple butter and it was soooooooo good! 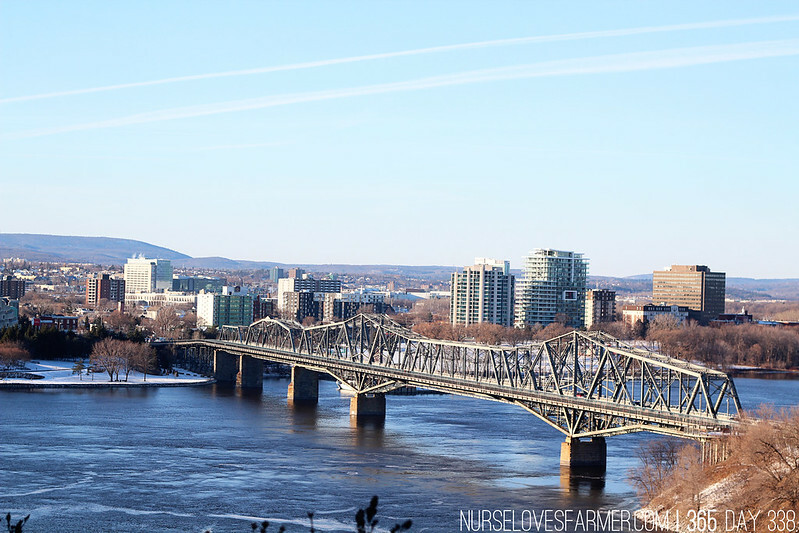 Our last day in Ottawa we had a bit of free time in the afternoon so we walked around parliament, and right behind it is the Alexandra Bridge and you’re looking at Gatineau, Quebec across the Ottawa River. 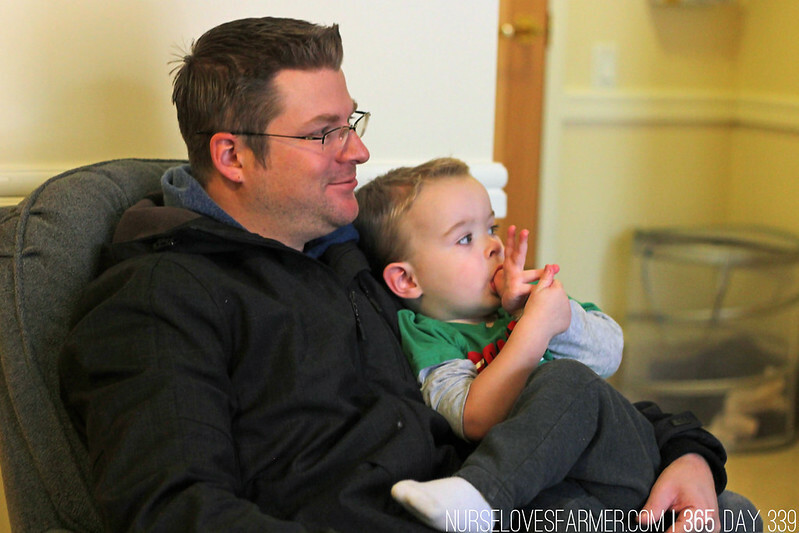 On our way back home we were happy to see the boys and stopped with my mom to visit GG. 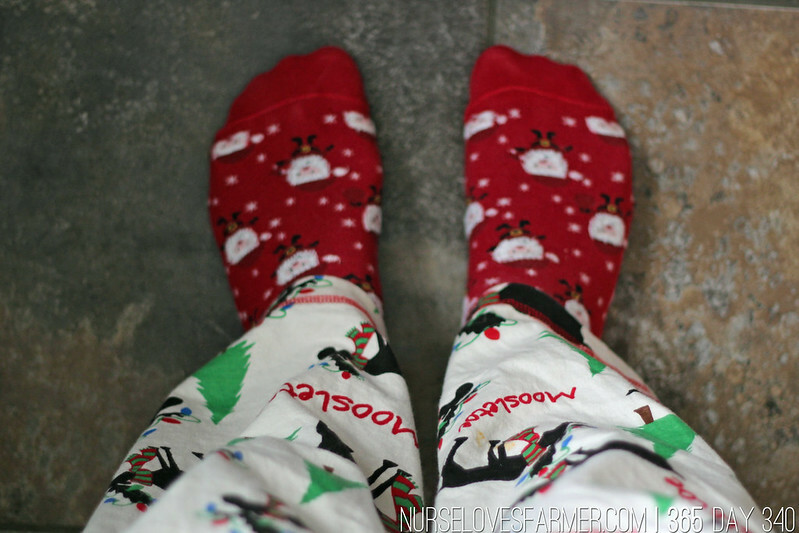 Christmas socks, Christmas “Lazy One” pajama pants and lots of Christmas baking done today! 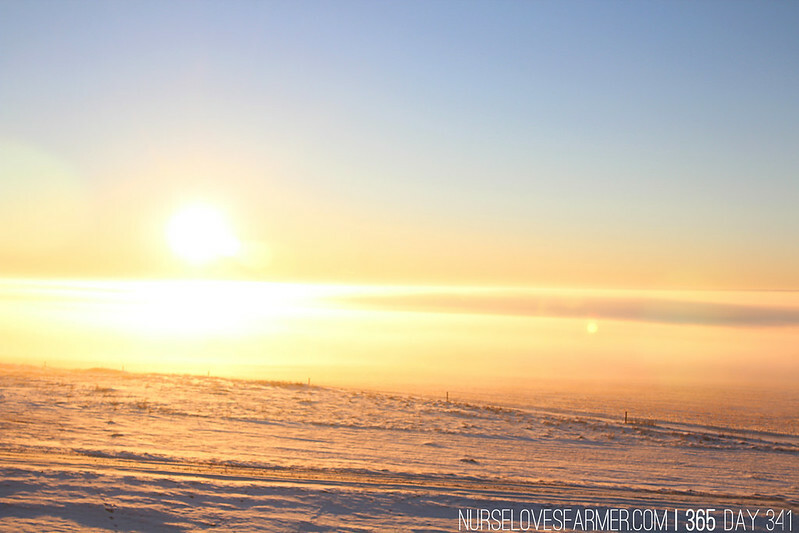 Gorgeous sunrise with a thick layer of fog on the ground. Our husky basking in the sun in a snow nest! 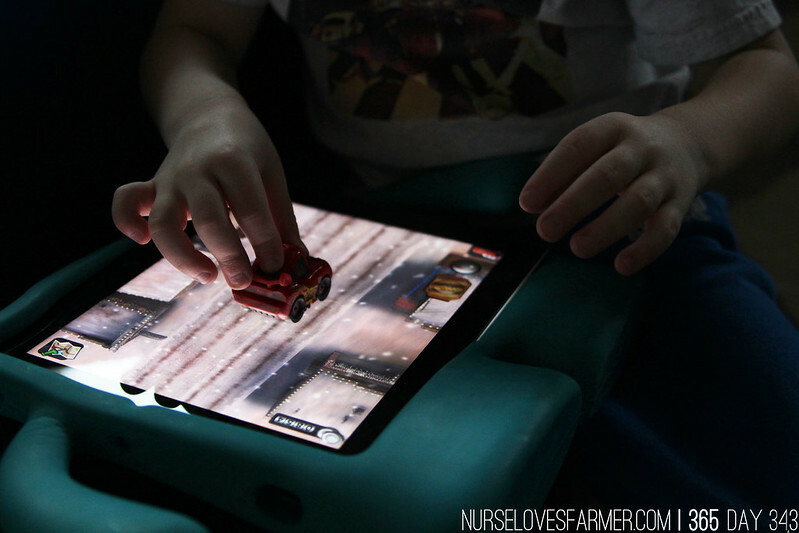 Braden playing a Cars racing game on the iPad. The sunrise is just beautiful! 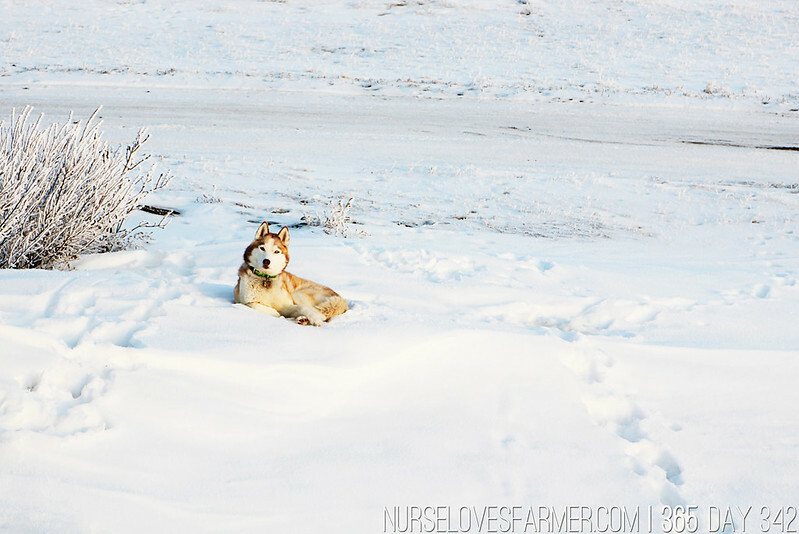 And I love your husky so much and him laying in that white snow is just a perfect shot. Plus the BeaverTrails looks so neat! I love the one of your pup in the snow! Beautiful! I wish I could have gone down for a closer shot, that was taken from the deck, but she gets excited when we come outside so I had to do it sneakily!